On the 27th of June 2016, Armstrong Odenwald officially opened our 7th automotive factory in Shenyang, Liaoning, China. Over 100 guests from the Armstrong Group HQ, German Partners Odenwald Chemie, Philippine Technische and supporting OEMs (including BMW, BBA, and GM) graced the event. The event line-up includes a ribbon cutting ceremony, celebratory fireworks and an inaugural factory tour. Representatives from other parts of China were also in attendance, signifying a close relationship between the Partners and China’s automobile industry. 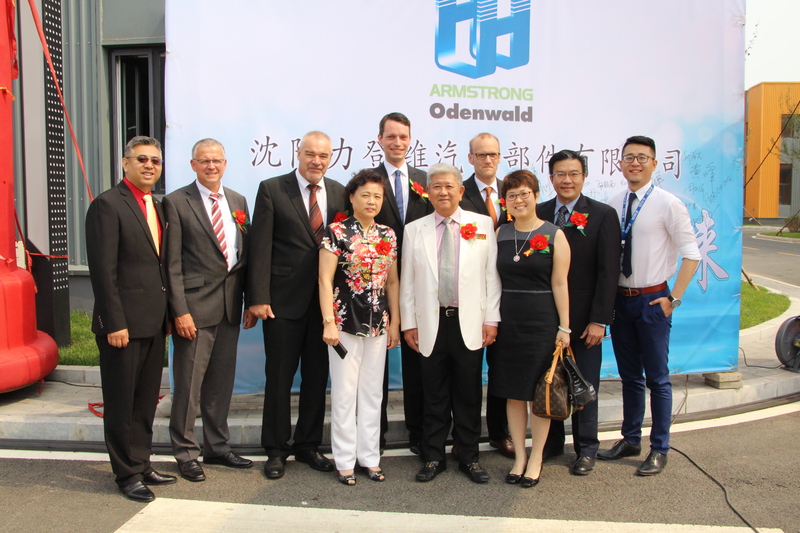 As Armstrong Odenwald’s 7th factory in China, the opening of this facility further pushes our commitment to providing world class products and services to customers.